Legends 35+ Floor Hockey is back for Winter! Click here to listen to what our Legends players have to say about what it's like to play in this unique league! You remember where you were and what you were eating the day Wayne Gretzky hoisted the Stanley Cup in 1988. That doesn’t make you old, that makes you a Legend. You’ve been around for the good, the bad, and the ugly with our home team heroes, but the best days are right in front of you. 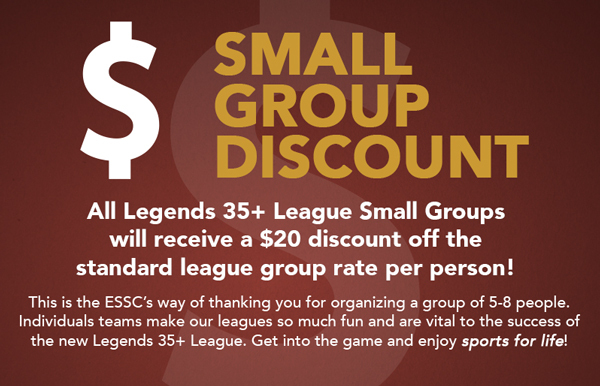 ESSC Legends 35+ Floor Hockey leagues (also known as Ball Hockey) allow you to leave the cold chill of the arena and run around the court playing Canada’s favourite game.